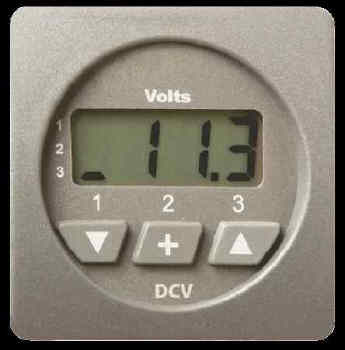 The DCV Battery Voltmeter provides accurate low cost digital instrumentation for 3 banks of batteries between 9.5 and 33 volts. The instrument displays battery voltage for any one of three banks. You can set Low and High voltage alarms for each bank independently and the DCV continuously monitors the voltage of each bank at all times.When activated, the built-in 85 dB alarm will sound and the display will flash. 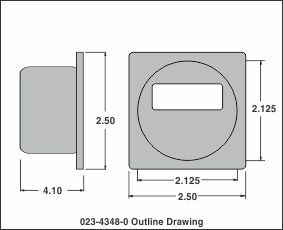 You can select to have either an external alarm output or standard NMEA 0183 compatible data alarm output. If you select NMEA 0183, the voltage of each battery is output once per second as 4800 BAUD serial data stream.